It is quite as a matter of course though, the major theme of operational efficiency (Labor-saving) is replacing "Human Processing" by "Machine (computer) processing". It is called 'Automation' in Business Process Management Activity (BPM activity). 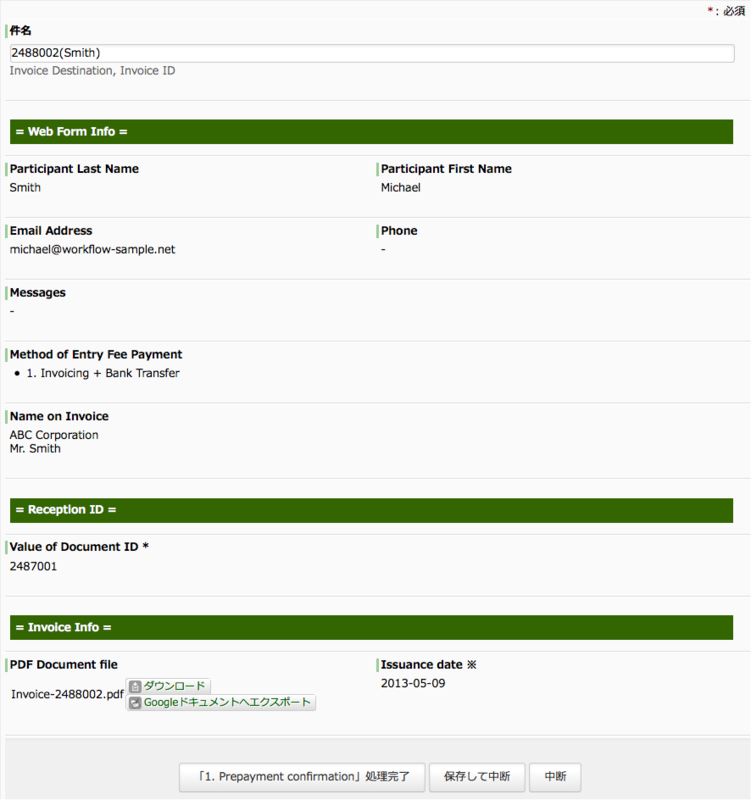 In this workflow, "submission of Thanks email" and "generating PDF file" are automated, and it is wonderful. However when promoting the automation actually, sometimes you would do something reverse to automation. It is humanization such as "insert the phone confirmation step for the entry of under twenty years of age, for example. 'Humanization' is wonderful as well, if it was an improvement. When I think about that, I realize the importance of 'continuous improvement', instead of 'one-time -only reform'. Well anyway, operational efficiency (business improvement) begins by describing current status flow (As-Is) into a Business Process Diagram. Without doing so, you cannot discuss on business flow should be (To-Be). Improvement everyday! Work hard on it! Reference site - How to Improve the Process?